Police summoned after reports of graffiti sprayed on synagogue walls in central Israeli city. A number of holy books also burned. 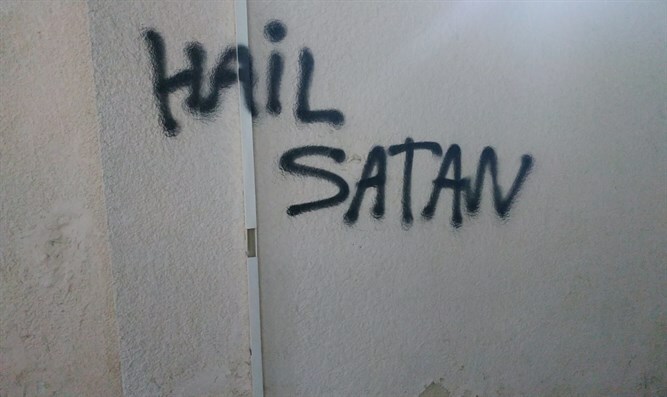 Israel Police investigators were summoned to a synagogue in the central Israeli city of Netanya on Saturday night, following reports of graffiti sprayed on a wall at the entrance to the synagogue. 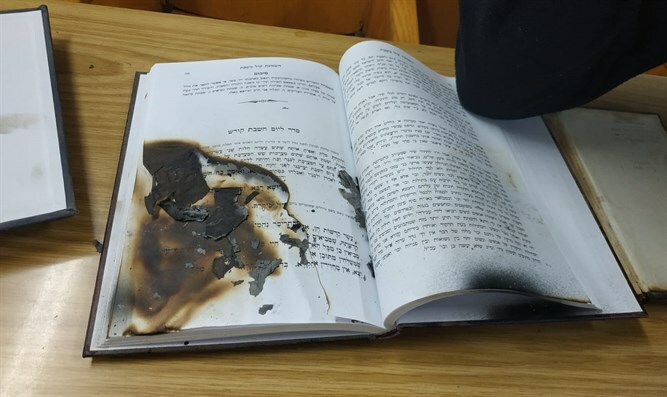 A preliminary examination by police officers indicated that a bag with a bra was found nearby and that holy books were also burned. Police opened an investigation into the incident and the circumstances are being examined. Last November, vandals hung a severed pig’s head at the entrance to the Sukkat Shaul synagogue in the central Israeli city of Ramat Hasharon. Worshipers were shocked upon finding the bloody head and summoned police, who opened an investigation.